Where is it? Union Road/Clapham Road, Clapham North, SW4. What type of properties are available on the development? The new build scheme will comprise a stylish collection of 59, one, two and three bedroom shared ownership apartments. Asking prices: Homes at The Yard start from as little as £149,100 based on a 40 per cent share of a full market value of £372,750. If you are thinking of buying a new build home, visit SmartNewHomes at www.smartnewhomes.com to find a development near you. Area stats: The average house price in Clapham is £739,611 with local house prices up 20 per cent in the past year. What aspects of the development stand out? The Yard is a stylish and modern development, offering residents affordable living though shared ownership. With a number of transport links, The Yard offers residents a desirable south-central location that’s within easy reach of the heart of London. When will the property and the development be completed? The Yard was launched on Saturday, February 7, and is expected to be completed in August/September 2015. Are financial incentives available? To make moving even easier and more affordable, apartments at The Yard are available to buy through shared ownership. Shared ownership is an initiative that enables a buyer to purchase a percentage of the property and pay rent on the remainder, typically to a local authority or housing association. What are the best bits about the homes on the development? The Yard has a number of desirable features for buyers to enjoy. Each apartment includes modern fittings in the open plan kitchen and light spacious bedrooms. Along with this, most homes will also benefit from access to private outdoor space with a balcony. With the highlights of Clapham just down the road, homes at The Yard are ideally situated to allow you to enjoy a vibrant lifestyle for an affordable price. Anything else you would like to tell us about this development? At The Yard, SW4, your postcode will match your lifestyle. Located in the heart of cosmopolitan south London, Clapham boasts a stunning common and one of the most effervescent high streets in London. You’ll be spoilt for choice with countless trendy bars, intimate cafés and various restaurants to suit every budget. Clapham offers everything you’ll need with stylish shopping, outdoor activities and fantastic transport links. Who will the neighbours be? Young professionals – singles, couples and families who want to live in a new build property development in a location that allows them to continue to enjoy their urban lifestyle while also realizing their dream of home ownership. What reputation do the local schools have? The area offers a range of Ofsted-rated Good or Outstanding schools within a mile of The Yard, including Allen Edwards Primary School, Clapham Manor Primary School, and Lansdowne Secondary School. What is the traffic and transport like in the area? The Yard is in Zone 2, just a five minute walk from Clapham North station and Stockwell station. Clapham high street station on the London Overground is only a seven minute walk, which is the capital’s new orbital rail line with services to Clapham Junction (for National Rail connections), Surrey Quays, Shoreditch and Highbury & Islington. What’s a good place for dinner nearby? Trinity is in the Polygon in Clapham Old Town, London, SW4 0JG. Trinity restaurant is a three rosette restaurant in Clapham London, famed for its fresh and seasonal menu. Eco restaurant has been making brilliant pizzas for more than 20 years and has become an institution in Clapham. What would be an ideal way to spend the day in the area? There are many ways residents can spend the day in Clapham. Clapham high street offers an abundance of amenities, including shops, cafes, bars and restaurants. Breads Etcetera is a modern British urban bakery and café where residents can enjoy a delicious breakfast. Clapham is steeped in history, from its popular landmark bandstand which was used to hold weekly concerts until the Second World War to the Clapham Picture house on Venn Street. Saturdays feature the Venn Street market, where fresh local British produce can be sourced including handmade artisan breads, organic meats and succulent hand dived scallops from Chesil Beach. It’s a perfect hive for foodies. For those seeking relaxation, residents can visit the beautiful Clapham Common which is less than a mile away from The Yard, perfect for a morning jog or spring picnic. What local secret is there in the area that would take a new resident a while to discover? Time Out award-winning bar The Loft offers a bird’s eye view of the hustle and bustle of Clapham high street, a great place to relax with friends over cocktails or an international beer. If you could change one thing about the properties in the development what would it be? We wouldn’t change a thing about The Yard. The development offers buyers a number of desirable features from the development’s affordability to its enviable location. What items are included in the sale of the property (eg. white goods in the kitchen)? Each contemporary apartment features outstanding modern architecture, a fully-fitted kitchen with Zanussi, Electrolux and Indesit appliances and spacious living areas. Most homes will also benefit from access to private outdoor space with a balcony. Audio-visual intercom system for visitor access and secure underground bicycle storage is also available for residents. 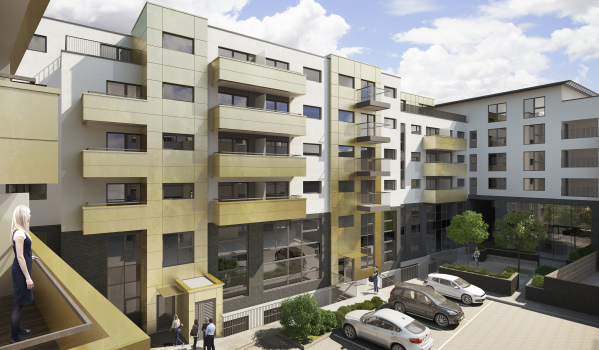 Along with this, all buyers of two and three bedroom flats will be provided with free Zip car membership for 12 months. Who would be the ideal buyer? The Yard is perfect for buyers looking for affordability in a desirable south-central location. With so much on the doorstep, The Yard is the perfect place for young professionals, couples and families to get onto the property ladder through shared ownership.